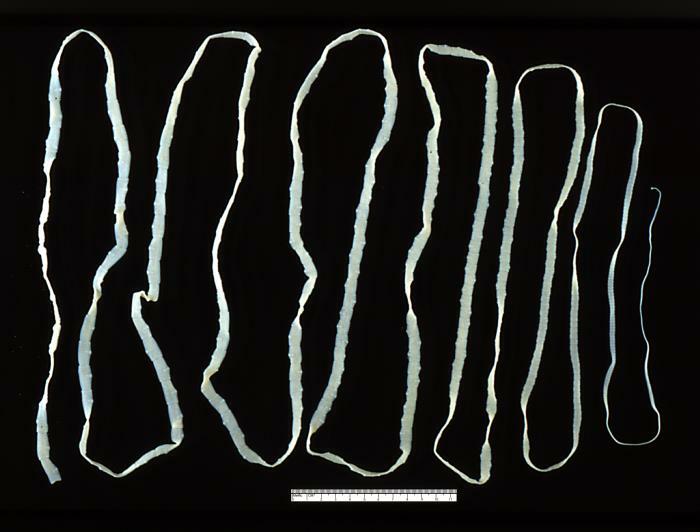 Description:	This is an adult Taenia saginata tapeworm. Humans become infected by ingesting raw or undercooked infected meat. In the human intestine, the cysticercus develops over 2 mo. into an adult tapeworm, which can survive for years, attaching to, and residing in the small intestine.